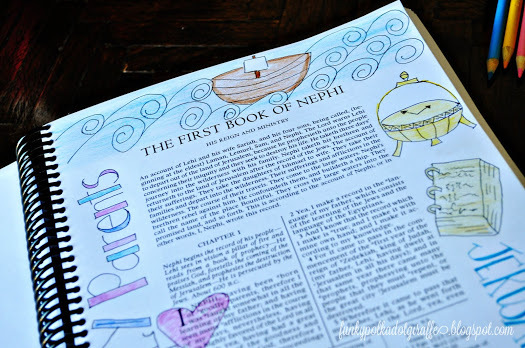 I have absolutely loved looking at the Bible journaling photos and inspiration shared on Instagram and other places on the internet recently, and I've had this burning desire to start a Book of Mormon journal. I love the Book of Mormon. I love to draw/doodle. Bringing these both together seemed like the perfect motivation for my study time. The problem? I haven't been able to find a Book of Mormon with wide margins anywhere. I've heard of people cutting up a book of mormon and gluing them into sketch books but that just seemed like my journal would be so large and bulky and I wanted to go with something that was already printed with the wide margins. ...my sister shared a link of the Book of Mormon pdf with wide margins! Thank you so much to Brad Jackson for saving us so much time. I was literally ready to grab scissors and a glue gun and being able to print this version saves me so much time! I've already printed the pages up to Alma and am ready to begin my study of the Book of Mormon and adding journaling to it along the way! 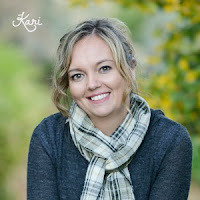 it up for me on paper that was slightly heavier than regular copy paper...They had it printed for me in less than 24 hours." 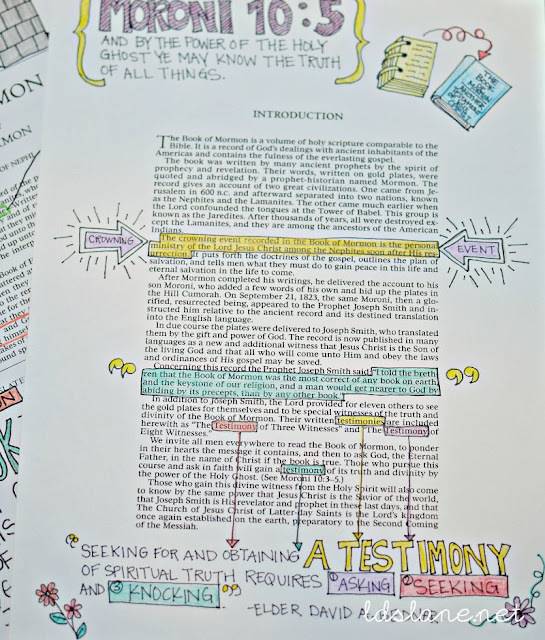 Kyla also shares other tips in her Book of Mormon journal post you'll want to check out! 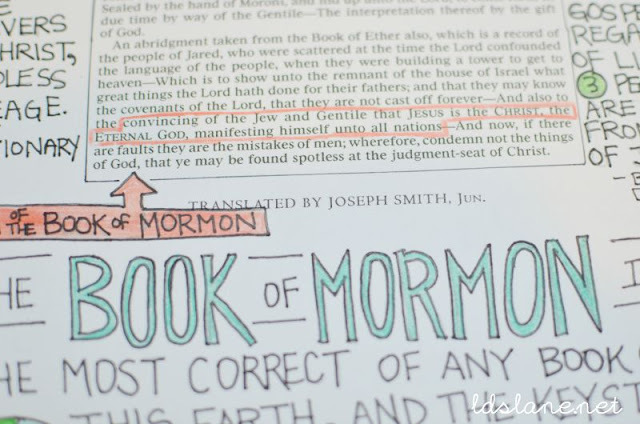 Share your Book of Mormon journaling on Instagram using #bofmjournaling and we can inspire others as we study and journal along the way! This is amazing and something I've been wanting for so long! Thanks for sharing! You're so welcome. Fun to see so many excited about this! Where is the link for me to download the wide margin book of mormon? karenlscott77@gmail.com Thank YOu! Exactly what I needed as I started over reading the Book of Mormon again. Thanks for the inspiration! You're welcome. 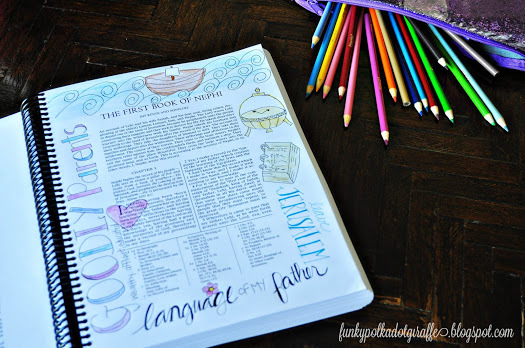 I find as I dig into art journaling I want to study the scriptures more in depth. I hope you enjoy it! Thank you! I was trying to start a scripture journal type thing- but nothing seemed to feel natural- this is perfect!! I felt the same way before I stumbled upon this wide margin version. Thanks for stopping by! It was fun to come across your site! I was thinking the same thing and I am so glad you shared! Oh I was wondering if you printed it on heavier paper? Yes, I used card stock so that I could journal front and back. Did you print this on 8.5x11 paper? and did you use a different weight paper than regular copy paper? And did you print double sided? Thanks so much! Yes, I used 8.5x11 white cardstock double-sided. I love this! I was wondering how (or if) you were planning on binding these pages together? You can take them to your local copy place - many of them will bind them for you! Were you able to bind the whole book, or did you have to bind it in sections? I just updated the post with instructions for binding the BOM journal above. thanks! I just got my wide margin BOM printed! I am super excited to try my hand at journaling now! I am looking and reading at everything you have done, to help me get started. Do you have a weekly post? Also, what's the best marking pencils/crayons that you recommend? Or did I miss that? Thank you so very much! Can't say it enough!! I will be posting about this and my journey more in the near future. 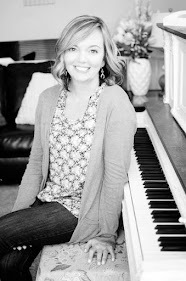 Due to running a small business and having my children at home in the summer, my blogging gets put on the back burner a quite a bit. As for pencils I love my Prismacolor ones, however they can get pricey, but I also love the Sargent brand on Amazon. They work great, too! This is just wonderful. Thank you so much for sharing this. It's so fun to see the thousands of people jumping on board with this! You are so welcome Sherri! I can't say thank you enough for sharing this. I've been wanting to do the same thing. I follow every bible Journaling page I can find on IG and pin everything on pinterest because I love it so much. ....but this is evaluation what I was looking for. Thank you! That's what got me interested too. 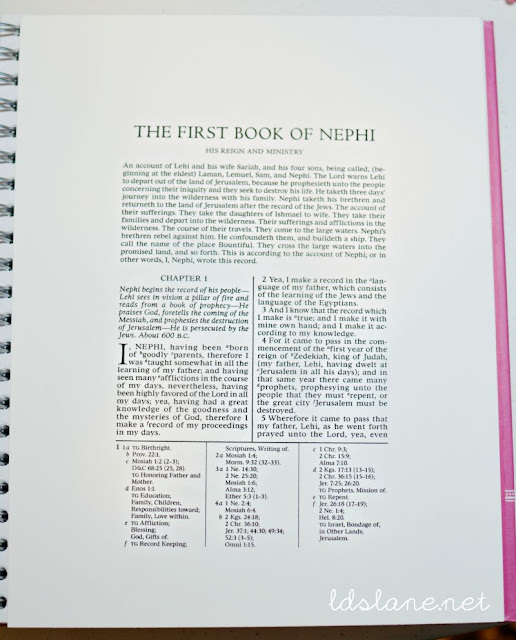 There are so many Bible Journaling resources that are amazing and I was thrilled to find the wide version available in the Book of Mormon. I also can't wait to do this with the Doctrine and Covenants, and the Pearl of Great Price! Hold the boat!! Are you saying that there is wide margin D&C and the Pearl of Great Price floating around out in cyberspace? :) Whoo hoo!! Thanks so much for ironing out all the wrinkles in this project. Now I only have to keep track of one book while I journal/study the Book of Mormon. 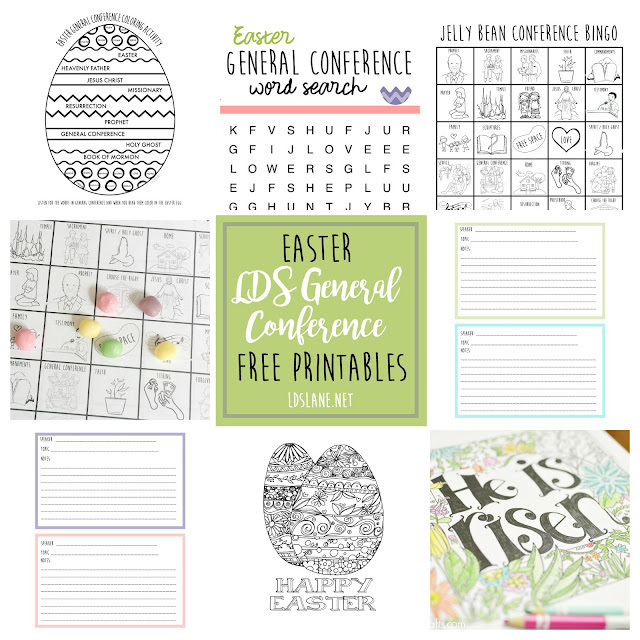 Yes, I cannot wait to journal the D&C and Pearl of Great Price! I love your colorful journaling! This is a great way to study. I needed the D&C one last year when I was teaching it. Thanks so much for your kind words Jenny! So happy you found this Kim! It's such an inspirational way to study the scriptures! WOW...can I just get a copy of your journaling? Not sure I am that creative or talented. Haha! You are so kind, thank you! I'm sure you are talented and creative! Jump in and start and you won't be able to stop! Wheres the link to download the wide margin book or mormon? Another option is to purchase the extra large print Book of Mormon (actually triple) from LDS distribution. It doesn't have quite as wide of margins but it has some good space, and it looks just like any other triple combination, just quite a bit bigger, with 14pt font. You can find it on the lds distribution website under the disabilities page, or scripture page. is printing it out on cardstock manageable to carry around or would it be better to just leave at home in my study spot? Also this is fantastic, thank you! I leave my doodle version at home on my desk and carry my original scriptures to church. Is is possible to purchase your Book of Mormon pages as you've completed them? I LOVE LOVE LOVE your work!!! I'd love to have a copy of all of your pages!!! My e-mail is prplpwr2002@yahoo.com. THANK YOU!!! 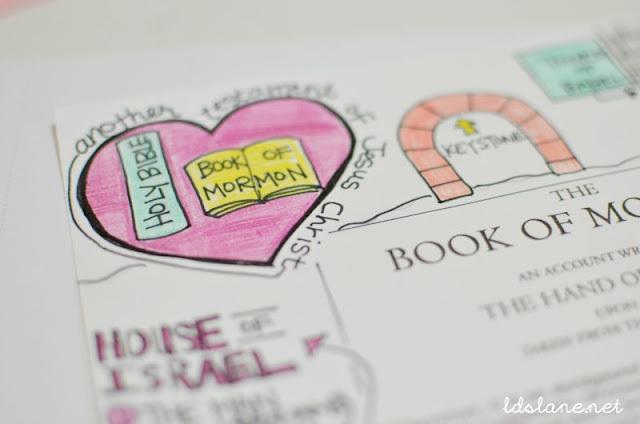 I love to read the BOOK OF MORMON, but your art work and doodles really enhance it!!! I actually do not sell me artwork, but thank you for your kind words Pat! Do you know anyone who sells this as a hard copy. I don't have a printer and am in a nursing facility so I can't take this to be printed at a copy shop (which I couldn't afford anyway). If I was still working I would have done it there and paid a way less amount of money. I have an urgent need to begin this way of studying. Desert Book just came out with the journal edition of the BOM for $15. Footnotes and index included. i bought 65lb cardstock paper to do create this but Office Depot stated that this would be to thick to spiral bound into one book. What would you suggest? A different weight of paper or having 2 books?